March 2019: Dr. Don Tyler discusses the Wake Up Safe initiative. February 2019: Dr. Eliot Grigg discusses anesthesia medication safety. 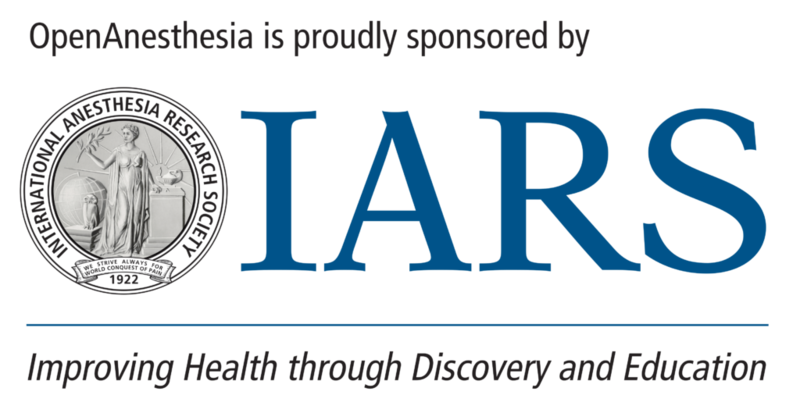 January 2019: Dr. Phillip Morgan discusses mitochondrial disease and anesthesia. December 2018: Dr. Mary Landrigan-Ossar discusses out of operating room anesthesiology. November 2018: Dr. David Polaner discusses Pediatric Regional Anesthesia Network (PRAN). October 2018: Dr. Paul Stricker discusses craniosynostosis. September 2018: Dr. Adrian T. Bosenberg discusses pediatric regional anesthesia. August 2018: Dr. Randall Flick discusses anesthetic neurotoxicity. July 2018: Dr. John E. Fiadjoe discusses pediatric difficult airway. June 2018: Dr. Monica Vavilala discusses concussion and anesthesia. May 2018: Dr. Myron Yaster discusses opioid epidemic and pediatric anesthesiology. Click here to review the curriculum. Aditee Ambardekar, MD, MSEd is an Associate Professor at the University of Texas Southwestern Medical School, Dallas, TX. Debnath Chatterjee, MD is an Associate Professor of Anesthesiology at Children's Hospital Colorado, University of Colorado School of Medicine, Aurora, CO. Faith Ross, MD, is an Assistant Professor at Seattle Children's Hospital, Seattle, WA.